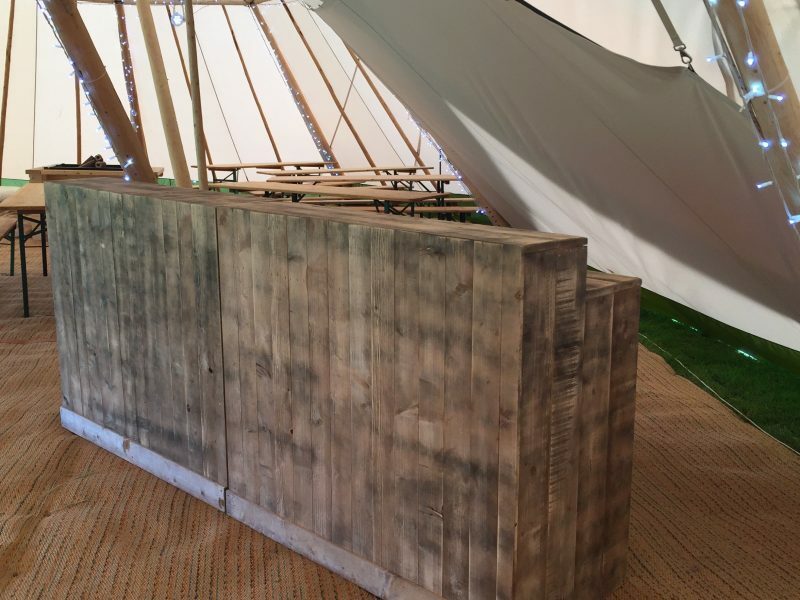 Bar Hire Options | LoveTipis. Bars are an important focal point for parties. Food and drink can be served from the bar and guests can congregate there while they pluck up the courage to hit the dancefloor. We have a range of unique bars available for your event, including black gloss with full colour LED backlighting and rustic bars in either a wild west or reclaimed wood look. Wine barrels with oak or copper tops can also be used to create a unique bar for your event. Get in touch to find out more about bar options.